Jane Shore, notorious mistress of King Edward IV, is a refreshingly honest person. She is a beauty and knows her charms, but she is also very moral, but not overly religious. She always wants to do what she feels is right and stands by her convictions even at her own peril. Jane unwillingly enters a marriage with one of her merchant father’s connections, a goldsmith named William Shore. She wanted to marry for love, but found being a young, wealthy and beautiful woman attracted too much attention from men who wanted other than honorable marriage. Running from a particular stalker, she thought she would be safe with a ring on her finger. Marriage to Will was nothing like her romantic dreams and she found herself susceptible to the charms of other men. She soon came to the notice of the King and against her better judgment moved to court to play the role of favorite mistress. Never asking for anything for herself, she used her influence for the good of others and became a fast favorite of the people. She was even on friendly terms with the Queen, who was grateful King Edward had such a selfless mistress who didn’t get involved in politics or empty the royal coffers. Near the end the story turns from Jane’s unfortunate fall from grace to the story of the Princes in the tower. I’ve read so many takes on this particular part of history and didn’t think I would be surprised, but Plaidy actually had a little spin on the conspiracy that I haven’t read before. It also seems very plausible. I enjoyed Jane’s ending (as an old woman), even though it is different from what I’ve read before. Even Wikipedia has her ending her days with Thomas Lynom and the birth of a daughter. A book I read earlier this year, Figures in Silk, also had her marry Lynom and have a child. 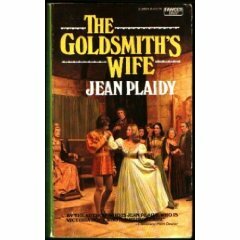 I do wonder why Jean Plaidy decided to write the story a bit differently, but I am not unhappy with the ending she created. It seemed to compliment the personality that she gave to Jane. I really enjoyed this book very much and now count it as one of my favorite Plaidy novels (of the 30+ I have read). I thought I would include the Author’s Note that Plaidy wrote for this book, as I agree wholeheartedly with her opinion. “It is unfortunate that Shakespeare’s play, Richard III, with its misstatements and distortions and exaggerated character-drawing of the central figure, should be generally accepted as history. But such is the case, so that if Richard is written about from any other angle an explanation seems advisable. Handicapped as he was by living under Tudor rule, Shakespeare naturally dared not contradict the historians of the day, whose concern it was to vilify Richard in order to applaud the Tudor usurpation, and in so doing lay the blame for the foulest crimes of the period upon Richard. Since the Tudors guiltily destroyed any state papers which might confound their falsehoods, it is not easy to discover the truth of what happened during Richard’s brief reign. The evidence obtainable has been sifted and analyzed, and I am sure that the fair-minded will agree that the picture of Richard as presented in The Goldsmith’s Wife is a balanced one.